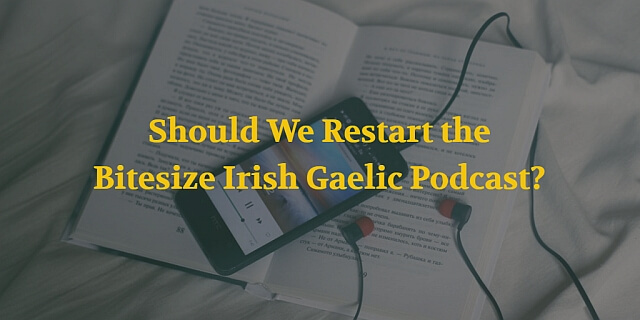 Podcast 068: Should We Restart the Bitesize Irish Gaelic Podcast? 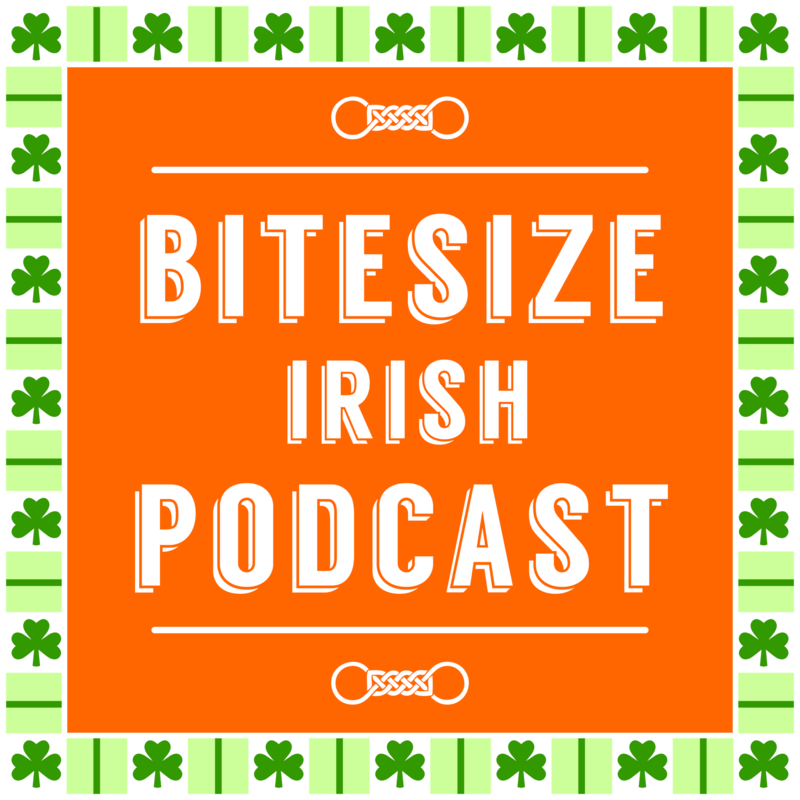 Two full years after our last Bitesize Irish Gaelic Podcast episode, this is the return of an experiment! Would you like for the podcast to return (or would you like to get new episodes if you’ve never heard it)? If so, now is your chance to re-start it be recording your question for the next postcast episode. However, if not enough people record a question, then we’ll take that as a “nah, don’t record more episodes”. Record your question right above. Couldn’t get my microphone to work properly. First off, I guess I didn’t realize there was a podcast. So, I’ll need to go back and listen to all of them. Second, I love the idea of these podcasts but fully understand it is a labor of love on your part. Life takes precedence over these things. Maybe an occasional podcast? Thank you for the positive feedback. We’re happy that you’ll listen to our Podcast episodes, there’s a lot of really valuable content for people who want to learn Irish or are interested in learning more about Ireland and its culture. The occasional podcast is a good idea. What would you want to listen to on a future podcast episode. It’s OK if your microphone didn’t work, maybe you can try a bit later. Please bring back the podcast – it gave such an invaluable insight that we never would have otherwise gotten. What use is a language if you don’t understand a culture? That’s a really interesting way of looking at the Podcast. Thank you for sharing it with us! Did you record your question for Eoin? You just need a microphone and you’re set. Here’s a link to old episodes, at least! An smaoineamh maith! Chuir mé ceist faoi http://uisneach.ie/ ort. I don’t have a question at the moment, but just want to say that I understand how family issues keep you busy! That being said, I’d love it if you did more podcasts. L LOVE the YouTube videos, and hope to subscribe to the courses in the near future. As soon as we’re deciding on the new podcast episodes, we’ll let everyone know. Please contact us if you need assistance with signing-up for the Bitesize Irish Gaelic online courses.